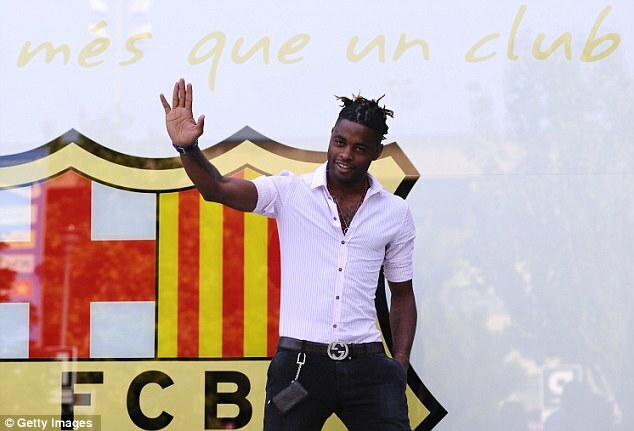 Former Arsenal midfielder Alex Song insists he wanted to be a Gooner for life but when trying to tie down a new deal he was continually 'fobbed off' - prompting him to leave for Barcelona. The Cameroon midfielder joined the Spanish giants for £15million but the 24-year-old has claimed it was never his intention to walk out on the club. ‘I love Arsenal, I never wanted to leave,’ said Song. ‘I was ready to commit my future to the club all I wanted were talks about a new contract but each time we were due to sit down, the club postponed it - I was fobbed off. Song claims he tried to begin negotiations with Arsenal for eight months prior to leaving - but says the Gunners kept delaying talks as he still had three years left on his existing contract. And the versatile midfielder, who can also play as a central defender, boasts Arsenal have missed out after Barcelona came calling - saying he wasn’t going to turn down the opportunity. ‘I had been trying for eight months to start talking about a new long-term deal but the club kept postponing me all the time, saying "You have three years left",' he said. ‘I hadn’t talked about money - I just wanted to sit down and discuss a new deal. I wanted to commit my career to the club I loved. ‘Then out of the blue, Barcelona came in for me. Song also admitted he found recent reports of him being lazy and always late for training 'very upsetting’ and ‘hurtful’. He has defended his relationship with Gunners boss Arsene Wenger, though, who had reportedly become increasingly impatient with Song’s attitude in training. 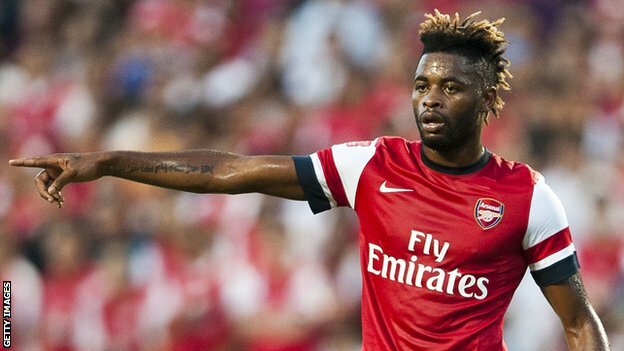 ‘I have the utmost respect for Arsene Wenger, I loved him like a father and he is a fantastic coach,' Song continued. ‘He made me the player I am and I am indebted to him for that. ‘There was never any trouble between us, so for someone within the club to suggest that really upsets me.